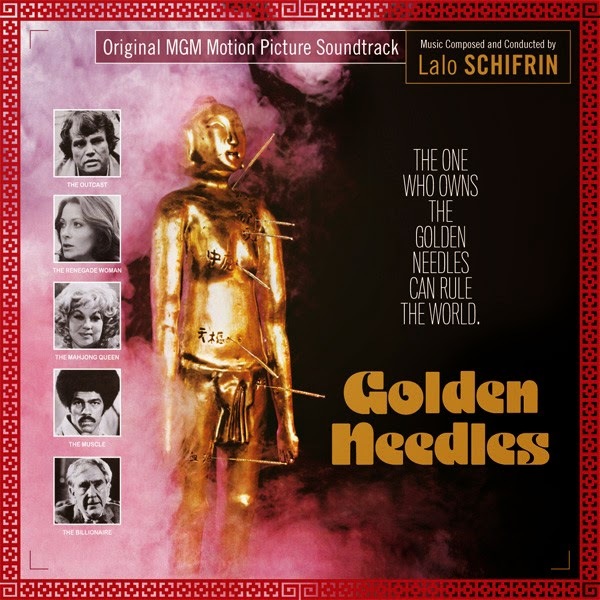 50th CD release, Music Box Records is very proud to present the original soundtrack from Golden Needles (1974) by Lalo Schifrin. This CD will be released on June 2, 2014. This CD marks the premiere release of Golden Needles. This soundtrack presents all the music and is accompanied by an 8-page booklet with liner notes by Gergely Hubai who discusses the film and the score. Golden Needles may lack the name recognition of Bullitt or the cult factor of Enter the Dragon, but the score definitely delivers everything you’d expect from the composer at the top of his game – and it certainly doesn’t disappoint fans of Schifrin or martial arts movies in general. Just Released... Happy 50th release.